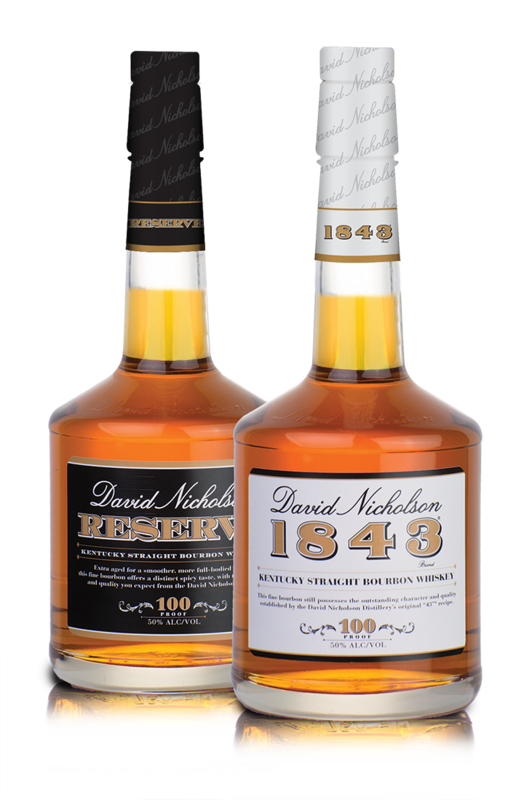 Original packaging developed for David Nicholson Bourbon's award-winning 1843 and Reserve flavor variants. A responsive website was designed to allow users to learn more about the brand's history, find product nearby and connect via social media. POS featuring original photography was also designed to promote the product in-store and reinforce the brand's award-winning flavor.